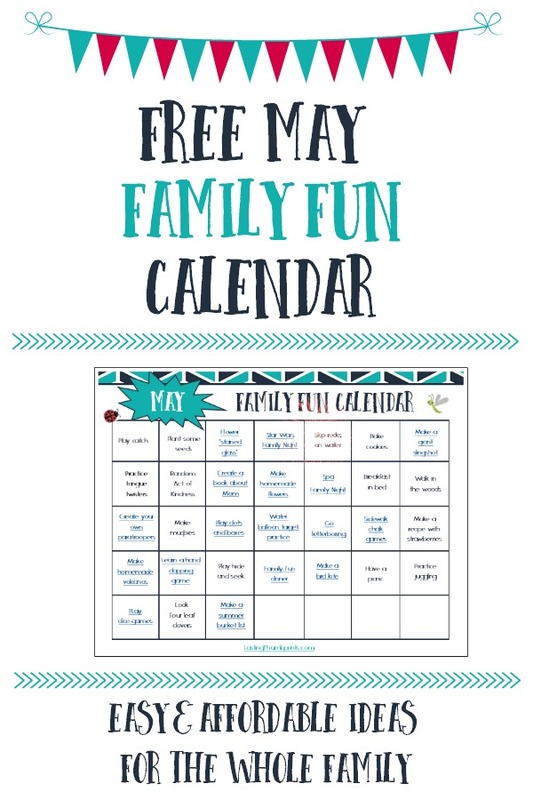 May Family Fun Calendar - Free Printable! Does your spring schedule have you feeling a bit disconnected from your family? The May family fun calendar is just what you need! One of the things I love the most about these calendars is that I can be intentional about spending extra time with my children each day without any stress making plans or thinking of ideas. Just what busy parents need, right? The calendar is undated to help meet the needs of your family best. Make it work for you and enjoy building stronger relationships with your family! It also includes links for your convenience. Click below to subscribe to my newsletter and get your free May family fun calendar. Previous Post: « February Family Fun Calendar – Easy, Affordable Activities for Everyone!